NORWAY – A win can turn into a loss on one pitch. Norway (13-7) turned a loss into a walkoff win with a two-run double by Ada VanHolla against Negaunee on Friday. The 5-4 win capped a doubleheader sweep against the Miners (6-9). Norway beat Negaunee 10-8 in the first game. The Miners took a 5-0 lead in the first inning before the Knights gradually caught up. Negaunee coach Randy Carlson said he liked the Miners’ effort in comparison to a loss to Marquette on Thursday. 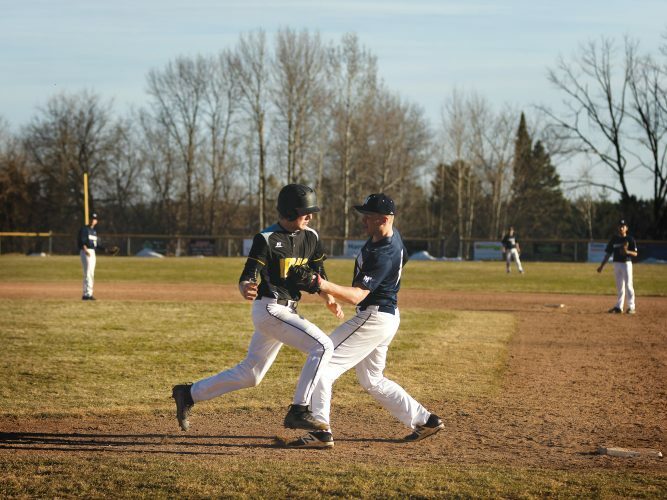 Negaunee rallied in the second game with two runs each in the sixth and seventh innings. Alli Sheski lined a double down the third-base line on the first pitch of the seventh inning. Jada Lasater battled the count and took a walk to put runners on first and second with no outs. They advanced to second and third on a bobbled catch by Negaunee’s catcher. VanHolla connected on a line drive double to left-center field to end the game. VanHolla also doubled in the fifth inning and scored Norway’s third run of the game. Madysen Kontio hit a two-run homerun to centerfield, an impressive feat given a brisk 10 mph wind blowing left to right field. Sheski pitched the second game for Norway. She gave up five hits, three walks and struck out five. 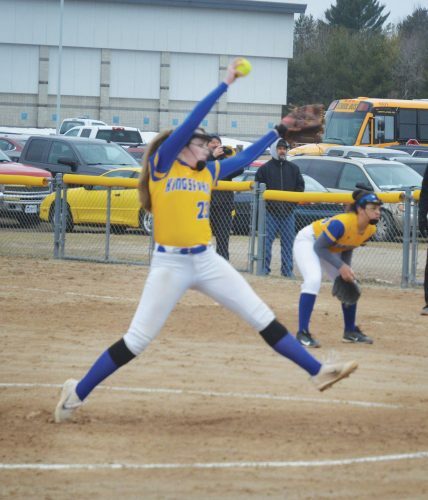 Abby Nelson pitched the second game for Negaunee. She gave up five hits, four walks and struck out five. In the first game, a combination of offense and defensive errors gave both teams opportunities to score runs. The Miners staked a 5-0 lead in to start the game. Norway made three errors in the inning. The Knights responded with a run in the first and tied the game in the second with four more runs. Norway then took control with a run in the third, three runs in the fifth and another in the sixth. Negaunee closed the gap in the final inning, pushing across three and threatening with a runner on third and the tying run on second base. However, the Miners grounded a chopper to the pitcher for the final out. Norway plays four doubleheaders next week, starting at Kingsford on Monday. Negaunee plays at Westwood on Monday.